Community Forests International (CFI) was born after co-founder Jeff Schnurr returned from living on the small island of Pemba, Tanzania where he was asked by Mbarouk Mussa Omar if tree planting could be done in Pemba as in Canada. Out of this question a solution was created – in 2008 a group of young Canadian tree planters, set out to create innovative change to combat the climate crisis effecting some of our world’s most vulnerable communities. NBCC Website: www.nbcc.ca/students/international-studentsNew Brunswick Community College (NBCC) is one of ACIC’s newer members, and they are also our May Member Spotlight! 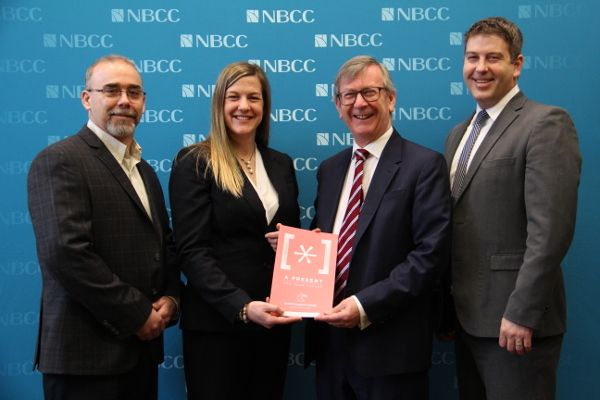 With over 90 programs and six campuses across New Brunswick, NBCC is a provincially-recognized, public post-secondary institution reputed for producing skilled, knowledgeable graduates who are contributing to the Province’s socio-economic prosperity. NBCC offers students one- and two-year certificate and diploma programs. NBCC offers various opportunities for international students in Canada, and works hard to facilitate a strong partnerships with other international post-secondary institutions and attract more international students to NB. Most notably, NBCC, in collaboration with other New Brunswick post-secondary and educational institutions, led the signing of the first international MOU with international post-secondary institutions since International Education Office was created. NBCC Website, News Releases. L-R: Jeff Dempsey, Dean of Business, Information Technology and Hospitality, NBCC; Mary Butler, Vice President – Academic, NBCC; David Niland, CEO, Galway Business School; and Ryan Sullivan, Director of International Education, NBCC.NBCC and Galway Business School (GBS) have signed a Memorandum of Understanding that "establishes mutual cooperation in program delivery, joint programs, and study abroad opportunities" (NBCC News Release). GBS, located in Galway, Ireland, is a small third-level college specializing in undergraduate business programmes with an international management focus. The MoU will allow NBCC graduates who complete a two-year diploma program to obtain a business-related degree from GBS. Upon completing their degree, students will also be able to work in Ireland and Europe for one year. For more information, read the fullNBCC News release. 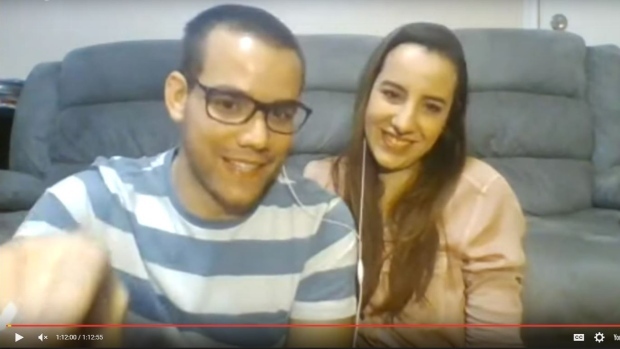 Sergio Silva, an NBCC student living in Moncton, NB, is spreading the word on life in Canada to Brazilians through a YouTube channel called Canadá em Porteguês that details the life of Brazilians in Canada. Silva and his partner spoke about the NB hospitality, the affordable cost of living, and the cultural-openness of New Brunswickers. Read the full CBC News article here. 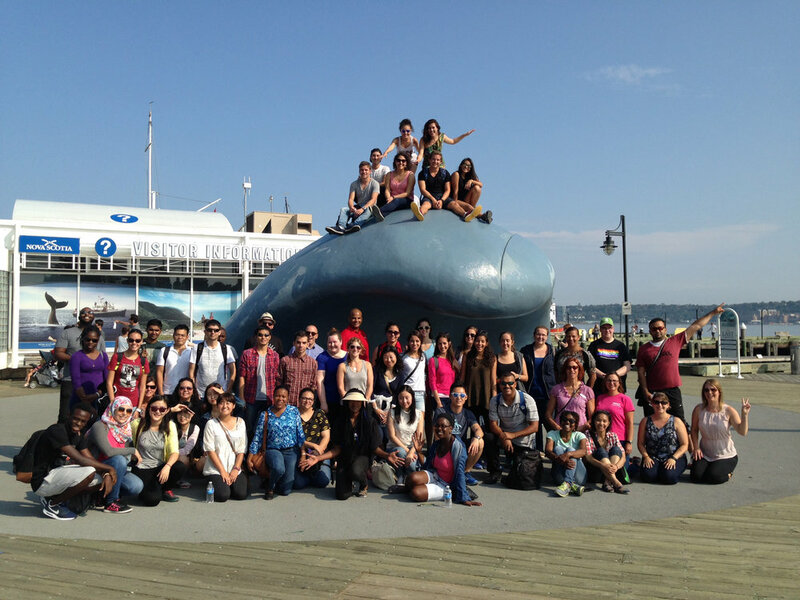 NBCC and CCNB hosted the Amazing Race New Brunswick in 2014, which highlighted the adventures of nearly 30 international students as they embarked on a whirlwind three day, two night journey across NB, starting in Fredericton and ending in Dieppe. Students working in teams to accumulate points through various challenges throughout the province. This is just another way NBCC works to engage international students and encourage cross-cultural experiences and diversity. View the full Amazing Race NB video on the NBCC YouTube Channel! University of New Brunswick (UNB) is our Member Spotlight for March. UNB has some exciting opportunities for students, and are also looking forward to upcoming events in May. They have announced the Queen Elizabeth II Diamond Jubilee Scholarship recipients, sending 18 students (pictured right) to Malawi, Zambia, Ghana, Barbados, Malaysia, Bangladesh and Fiji. UNB has also recently launched the Emerging Leaders of the Americas Program with CBIE. This scholarship program helps to bring deserving students from Latin American and the Caribbean to Canada. They have welcomed students from places like Jamaica, Barbados, El Salvador, Ecuador, Dominican Republic and Brazil. UNB is also in the process of confirming students to send on exchanges and to summer schools, where they will be sending students around the globe to enrich their academic experience. Finally, coming up in May, UNB will be hosting the Atlantic Meetings for the Canadian Bureau of International Education (CBIE). See more detail on each of these exciting initiatives below. The Queen Elizabeth II Diamond Jubilee Scholars for 2016-2017 have been announced, and 14 undergraduate and 4 graduate students will participate in 3 month long internships around the world focusing on their field of study with UNB partners in Malawi, Zambia, Ghana, Jamaica, and Barbados. They are already enjoying their adventures! During the 2015-2016 academic year, UNB welcomed 16 students from partnering Universities in Latin America and the Caribbean. These students included: 5 from the University of the West Indies, Barbados; 2 from the University of the West Indies, Jamaica; 2 from the University of Central America, El Salvador; 3 from the Universidad Casa Grande, Ecuador; 4 from the Pontificia Universidad Católica Madre y Maestra. 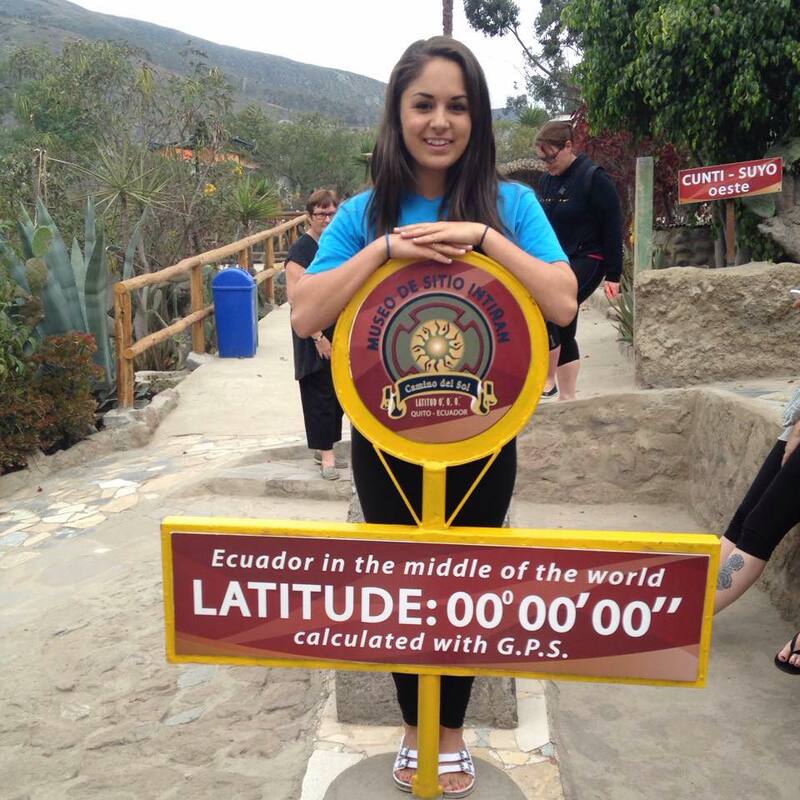 The ELAP program provides each successful Student with $7,200 to cover travel, living and additional expenses for at least 1 academic term. Students represented all disciplines including: Law, Arts, Engineering, Computer Science, Business Administration, and Kinesiology. This program not only internationalizes our campuses in Fredericton and Saint John, but provides an opportunity for academic and hands on exchange for our students in the Caribbean. NSCC (Nova Scotia Community College) International is in our Member Spotlight for November. See what they're all about. Capacity building and knowledge sharing with employees and students. We are just wrapping up our application process for the 2016 round of International Learning Opportunities which include projects/programs in 10 countries: Austria, Cuba, Grenada, Ecuador, Colombia, Peru, the Netherlands, Scotland, Tanzania and Vietnam. Students and employees will be selected in November and begin the pre-departure process in the new year. Located in the same city as ACIC’s main office, the Dalhousie Global Health Office (GHO) is making a difference locally and globally. They are an office within Dalhousie University, giving students, faculty and staff different opportunities and training and their programs are dedicated to Global Health Education, research and clinical outreach. Dal’s GHO also provides support to international students through the IMU and IMG programs in Medicine as well as under-represented populations through the PLANS program (Providing Leadership in Health for African Nova Scotians). Coming up this fall, the office will have their hands full with planning and hosting their events centred around the 2015 theme of “Shaping the Future through Partnerships”. This is an opportunity to celebrate the various partners at Dalhousie and in our communities. This year’s events will discuss community engagement, sustainability, reciprocity and the successes and challenges of the partnerships. As well as a poster showcase highlighting the diverse global health programming and research activities at Dalhousie. GHO Open House poster displayOn October 21, they will be hosting their first Global Health Rounds session for 2015-2016. This session will be facilitated by Dr. Robert Huish Global Health Rounds is a public lecture series, and it is free as well. The goal is to offer monthly sessions to highlight and discuss the global health activities at Dalhousie as well as contemporary global health challenges with leaders in the field. This year the sessions will connect to the theme “Shaping the Future through Partnerships”. Want to get involved? The Global Health Office is always looking for volunteers for their events. And they are always interested in hearing about new and exciting partnership opportunities on campus or in the community. The MD Class of 1972 have established an Endowment Fund with the Global Health Office to provide bursaries to fourth-year medical student to pursue an international education experience. The Centre for Nursing Studies is one of our Members who we've partnered with for the International Youth Internship Program. Learn more about them below! What are you going to be up to in the month of October? The Centre for Nursing Studies (CNS) offers a wide range of nursing education programs including a Bachelor of Nursing (Collaborative) program, Practical Nursing Program, and a variety of Continuing Nursing Studies programs for Registered Nurses (RNs) and Licensed Practical Nurses (LPNs). In addition, the CNS also provides re-entry programs for RNs and LPNs, a tailored bridging and re-entry program for internationally educated nurses (IENs), and competency-based assessments of nurses in practice for the Association of Registered Nurses of Newfoundland and Labrador (ARNNL), the College of Licensed Practical Nurses of Newfoundland and Labrador (CLPNNL) and regional health authorities. Programs and classes start in September. By October, the CNS is a bustle with over 750 students enrolled in the various nursing programs. The CNS faculty are dedicated professionals that aim to advance professional practice and nursing education through scholarly research and knowledge dissemination. On October 26 -28, 2015, eight faculty members will present and disseminate nursing research at the Canadian Association of Practical Nurse Educators (CAPNE) Conference in Toronto, Canada. The CNS International Office is also dedicated to promoting international education opportunities. In early October, the CNS is excited to introduce the three International Youth Interns selected under the IYIP program to St. John’s for orientation and training with the CNS as well as Planned Parenthood-Newfoundland and Labrador Sexual Health Centre prior to their departure for Jamaica in mid-October. How can people get involved with the Centre for Nursing Studies? Interested individuals can refer to the CNS website at www.cns.nf.ca for a full listings of programs provided or contact Natalie Gosse, BN, MScN, RN (International Office) if interested in more information about future IYIP placements. What will your interns/volunteers be up to in October and the couple of months after? The CNS is excited to be partnering with ACIC in facilitating three interns to complete an IYIP placement at FAMPLAN clinic in St. Ann’s Bay, Jamaica. FAMPLAN is a health clinic that attends to the family planning needs and promotes sexual and reproductive health amongst the marginalized populations in rural and urban centres of Jamaica. The CNS is very engaged to promote a successful internship for the participants in the IYIP program. The CNS welcomes the three successful interns to St. John’s, NL on October 5-9, 2015 for a tour of the CNS, a meet and greet with faculty, staff, and administration and orientation sessions with the CNS as well as Planned Parenthood-Newfoundland and Labrador Sexual Health Centre in St. John’s. The interns will depart for Jamaica by mid-October and remain working with FAMPLAN for a period of 6 months. When interns return to Canada in April, several public engagements sessions are scheduled for the interns to share their internship experiences with students of the various nursing programs at the CNS. Anything else readers should know about the Centre for Nursing Studies? In June 2015, the CNS received the highest award of a seven-year accreditation status from the Canadian Association of Schools of Nursing (CASN). This achievement affirms the quality of nursing education programs offered at the CNS. The CNS is a leader in nursing education as well as actively promotes partnerships and collaborations with various stakeholders from organizations within the community to the international sectors. CNS International (CNSi) works closely with nursing schools, professional associations, community agencies and health ministries in developing countries to improve health status and strengthen health systems in order to help these countries achieve the Millennium Development Goals for Health. CNSi has the capacity to manage and implement development projects and provide technical expertise to initiatives in the fields of nursing management, education, and training. Also in June of this year, the CNS, as part of a larger team, received the Eastern Health’s CEO Award of Excellence for Connectedness for the Jamaican Practical Nursing Recruitment and Onboarding Team. The team at the CNS demonstrated commitment, leadership and collaboration in providing support and direction for a Practical Nursing program in Jamaica in 2009-2011. In 2014-2015, successful recruitment of a number of licensed practical nurses educated in Jamaica extended into the health care facilities in Newfoundland and Labrador to enhance the delivery of health care to the province’s population. In Charlottetown, Prince Edward Island, there is a unique registered charity, dedicated to different global food issues in developing countries. Farmers Helping Farmers began as an International Family Farm Consultation in 1979, but has since evolved into what it is today. When it comes to the organization’s current projects, they are quite busy at the moment! Most recently, they held the PEI Kenya Youth Tour 2015, which doubled as a part of 35th anniversary celebrations for the Island-based group. The PEI Kenya Youth Tour consists of ten Prince Edward Island Youth travelling to Nairobi and spending time with Youth from a Kenyan high school, and participating in different activities with them. Farmers Helping Farmers has also worked with the Naari Dairy Co-operative Society in Kenya. Each year, UPEI sends two veterinary students to Kenya to help out with their efforts. The first year, two students collected baseline information on local farms and developed and delivered training programs in cattle health management for three months. Two more veterinary students will travel to Kenya in 2016, to conduct training on other cattle health management topics for three months. The first two of the students will be joining them as well. Kitchen gardens will be developed at two schools twinned with Canadian schools through Farmers Helping Farmers and also on women’s group farms. Since cell phones are commonly used in Kenya, the traditional training methods will be augmented by cell phone transmission of bi-weekly information summaries and advice for dairy and crop producers starting in 2016. Farmers Helping Farmers have completed around several hundred projects within Kenya and Tanzania. Their efforts have touched the lives of at least 100,000 people in East Africa. In return to the organization’s travel, African farmers have travelled to PEI, with the purpose of learning other different agricultural methods. With the 2nd Global Youth Leaders Tour (GYLT) quickly approaching, ACIC is thrilled to be collaborating with the Falls Brook Centre (FBC). The GYLT is an opportunity for four young Atlantic Canadians to visit and connect with an Atlantic NGO or institution and their partners working in the South, and see firsthand the impacts that are being made. Falls Brook Centre facilitates experiential education opportunities such as: community workshops, in-school visits, public events, and international field trips. While our work in New Brunswick is locally defined, we also work in select international communities where we can both learn from, and lend support and expertise to, locally supported projects. Currently, Falls Brook Centre is working in Honduras, to support local efforts of mangrove restoration and the building of community resiliency. This year’s GYLT is taking place in the beautiful Honduras. Along with the youth attending the tour will be Falls Brook Centre’s Rosamund “Rosie” Mosse. Rosie answered a few questions relating to the upcoming tour. ACIC: Why do you want to do the Global Youth Leader's Tour in Honduras? Rosie: Honduras is a geographically and culturally diverse country – and as    beautiful as it is charming. Falls Brook Centre has worked in Honduras for many years, partnered with local non-profits on various projects, from biodiversity restoration to micro-enterprise development to education initiatives. We are passionate about facilitating meaningful experiences for youth and hope to challenge young people to think about international cooperation, global citizenship, and environmental, economic and social sustainability. This year’s Global Youth Leaders Tour aims to encourage the leadership skills, global awareness, passions, compassion and sense of justice that we have already seen in the four amazing youth that we are sharing this journey with. ACIC: What does this tour in Honduras mean to you? Rosie: I had the privilege of spending six months working on the north coast of Honduras in communities within the Wildlife Refuge of Cuero y Salado. Of course, I am excited to return to these communities, to see old friends and new babies, but more than anything, I am excited to share the magic of the place with a group of curious, passionate young leaders. I am lucky enough to have had several international experiences, and I know the impact it has made on my life – it has motivated me into work and passions that serve to make the world a better place. I know that the 2015 Global Youth Leaders are already making an impact and working for change, and I’m so excited to share in the highs and lows, the challenges and the wonder of international travel, and to facilitate some of the experiences that will go on to impact what these four youth do in the future. ACIC: What do you hope the youth learn from this tour? Rosie: Rather than holding out hope for any specific outcomes, I’m excited to see what the youth learn on the tour – what resonates with them and what impressions they have. I’ve been so close to the projects FBC has in Honduras that my thinking can get a bit myopic. There’s nothing better than participating in this kind of experiential activity in a group as it can blow your perceptions and beliefs wide open, and I certainly hope to learn as much from my travelling companions as they will from the tour. Though small, we are diverse group with myriad lived experiences, and I’m so looking forward to navigating the cultures, languages, politics and landscapes together. This month we're featuring Marine Institute International. MII employee Sonia Ho is an ACIC Board Member and a tremendous help with our 2015 Symposium planning! See more about the Symposium being hosted in St. John's here. What is the Marine Institute and MI International all about? As part of Memorial University of Newfoundland, Marine Institute (MI) is a world-leading centre for marine and ocean related career education and research. Through MI International (MII), its international consulting arm, Marine Institute also provides practical application and real world solutions to real world challenges. MII supports MI’s three schools (School of Fisheries, School of Maritime Studies and School of Ocean Technology and research units to source, manage, and execute a range of international projects, consultancies and initiatives. MII is an eight-person service unit whose primary focus areas are international consulting and project management, institutional partnerships building, international mobility and international student recruitment and supporting services. For over 30 years, MI International has implemented more than 200 projects in over 50 countries. These activities range from short consultations to multi-year, multi-partner projects for clients such as multilateral development banks, governments, aid agencies, consulting firms and the private sector. As an example, last year Marine Institute participated in five projects in Antigua, Guyana, Jamaica and Suriname through the Caribbean Education For Employment program funded by Canada’s Department of Foreign Affairs, Trade and Development (DFATD) and administered through Colleges and Institutes of Canada (CICan, formerly known as ACCC). In the same year, MI also completed an African Development Bank project in Malawi with the School of Fisheries. Through our global development and consulting work, MI has formed and strengthened personal and professional friendships and institutional linkages in diverse countries including Malawi, Mozambique, Tanzania, Vietnam, Cambodia, South Africa, the Philippines, Indonesia and China over time. In this regard, MII plays a leading role in establishing and maintaining these institutional partnerships. A good example would be MI’s role from 2000-2005 in Vietnam, helping to establish the Tra Vinh Community College which subsequently became the Tra Vinh University (TVU). The relationship between MI and TVU continues today through frequent visits from both partners, the establishment an annual study scholarship for Vietnamese students, internship placements for MI graduates and short-term teaching opportunities for MI Faculty TVU. These personal, business and institutional connections help internationalize and enrich MI’s student-population, faculty and staff, and building capacity and expertise at MI as well as our partner institutions worldwide. As part of its international mobility initiatives, MII facilitates student and staff exposure to and involvement in international activity. Since 1997, MII has overseen the yearly deployment of up to twenty-two Canadian post-graduate students overseas as part of the International Youth Internship Placement (IYIP) program funded by the Canadian government. The initiative aims to provide recent graduates with the opportunity to intern for six-months at MI’s partner institutions worldwide, gaining valuable cross-cultural and employability skills. Similar examples of opportunities that allow students to gain international experience are with the Strategic Internationalization Fund and Students for Development, funded by Memorial University and the Canadian government respectively and administered by MII. 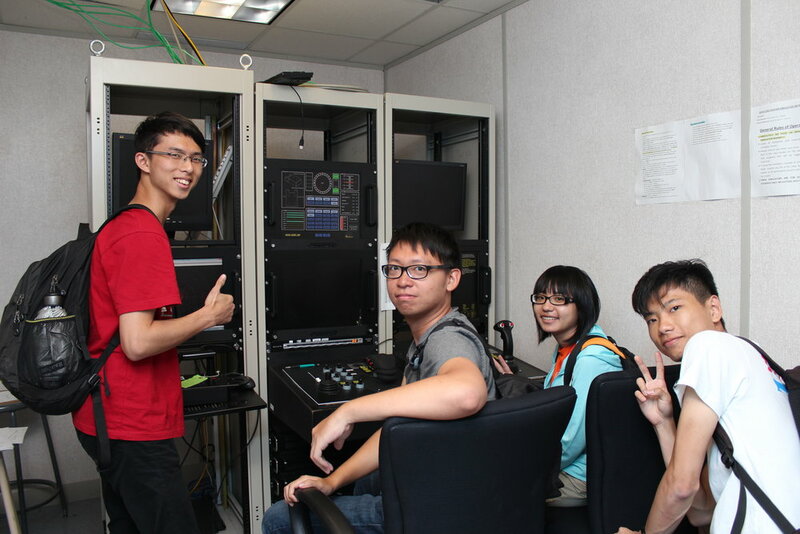 MII also works with non-Canadian students and faculty to study or visit MI by taking advantage of a range of Canadian-government-funded programs such as the Canada-CARICOM program. Under this program during 2011-2013 MI hosted students from the Caribbean region who completed part of their studies in their country of origin, then a year at MI before returning for their final exams. MI has a large and growing pool of personnel who either have been or are currently involved in international work. Over 160 faculty and staff members have gained international experience via participation in international initiatives to date. MII looks for opportunities to attach individuals with less international experience to in-country training missions where possible to assist more experienced members and enhance their profile. Over the last several years MI has allocated more resources toward attracting foreign students and investing in the necessary support services during their time here. MII’s International Student Coordinator is the key player here and works with various support units including Student Affairs, the Work Placement Office, Registrar’s Office and MUN International Student Advising Office, International Centre and Housing to support current and prospective international students at MI. The international student population has been rising steadily and it stands at five per cent of the total student number today. Apart from regular program seeking international students, Marine Institute hosts exchange and visiting students regularly from partners under university-wide and MI specific agreements. We have also been hosting students from scholarships program such as Science without Borders and King Abdullah Scholarships. In recent years, during the months of July and August, MI offers a Summer Institute program for international students from non-English speaking countries, through which students participate in five weeks of English language training, hands-on ocean-related studies, and cultural exchange activities. Why should students attend MI? As the largest institute of its kind in Canada, Marine Institute offers a suite of programs that are found nowhere else in the country. Our programs focus on three marine-related fields: in Maritime Studies, such as Marine Engineering Technology, Nautical Science and Naval Architecture; in Ocean Technology, such as Ocean Instrumentation, Ocean Mapping and Remotely operated vehicles; and in Fisheries such as Marine Environmental Technology, Water Quality and Integrated Coastal and Ocean Management. In addition, we provide land-based programs such as Food Technology, Food Safety and even Fire Rescue! Our programs range from undergraduate certificates/diplomas and degrees to post graduate certificate/diplomas and Master’s degrees. Program length varies from one to four years. Students are attracted to our institute for several reasons: our experienced faculties who have worked extensively in their fields or industries, small classes, affordable tuition, cutting-edge technology and facilities as well as the employability of our graduates. Indeed, our programs are unique in providing technical, hands-on training that prepare students for a professional career. Our credentials are recognized internationally, and we have graduates employed all over the world in their chosen fields. How can others get involved with/ attend Marine Institute? MI International is always looking forward to build new partnerships. We are known for our solid approach to designing, developing and delivering international projects. Furthermore, we have a sound understanding of international development agencies and policies as well as alliances with other education institutes, the private sector, community groups and government agencies. If you are interested in partnering with MI International, please feel free to contact our office as well. If you are a student or recent graduate from a postsecondary institution interested in the work of MI International and would like to get involved, you could look for information and announcements posted on our Facebook page or contact out office directly. Students who are interested in Marine Institutes’ programs could apply through MI’s website. International students interested in studying at Marine Institute could direct their questions to the International Student Coordinator at MII. Our office aims to ensure their experience in Canada as stress-free as possible from application to graduation. Anything else you’d like to tell us about? On a lighter note, MII is also involved in community engagement. Joining ACIC as a member is part of this initiative. The office organizes fundraising activities for local and international charities including a women’s shelter in Newfoundland and an orphanage in Malawi. One important fundraising activity is an annual auction held in conjunction with International Women’s Day and using items purchased by MI faculty and staff from their overseas deployments. The charity auction is one way that MII helps promote a global perspective on development as well as informs the community about MI’s overseas deployments and development work. In addition, MII participates in other annual events such as MUN’s Go Abroad fair, International Women’s Day, and International Development Week in conjunction with ACIC, which gives MII the opportunity showcase ongoing projects and initiatives, give presentations and hold discussions with students, faculty, and staff of MI/MUN and members of the public. The roots of the Nova Scotia – Gambia Association go back to 1985 with the first in a series of highly-focused development education field-trips to West Africa for Canadian students and teachers. However, by the early 1990s the NSGA had evolved into a major force in education, health and community development in The Gambia through the implementation of a series of complex and far-reaching – and truly unique – programs that had a nation-wide impact in that country. In the ensuing years, under the leadership of our founding Executive Director, Burris Devanney, NSGA steadily built a well-trained, professional and highly dedicated Gambian staff capably implementing school and community-based development programs in every region of the country. From 1992 to 1994, a series of free summer school skill-upgrading programs for Gambian secondary school students in language and math skills – a program which was soon emulated by schools throughout the country. In 2006 NSGA “resurrected” its annual summer school program, though on a smaller scale – rotating it through Gambia’s six regions. Commencing also in the early 1990s, teacher-training programs to meet particular needs – e.g. training for school guidance counsellors, environment education teachers, and math and language teachers, as well as hands-on training for hundreds of teachers coordinating school-based peer health education programs throughout the country. The “Almudo Project” – a successful 18-month program in 1994-96 providing daily hot meals, health care, clothing, showers and laundry facilities, as well as recreation and literacy training, for nearly 200 ragged children, ages 6 to 12, who had been begging for sustenance on the streets of Gambia’s capital. By project’s end all of these children (whose plight had been considered intractable) were returned to their families and re-absorbed into their home villages. From 1995-2000, NSGA initiated and managed a “University Extension Program” in collaboration with Saint Mary’s University by which for the first time Gambians were able to attend university – at an affordable cost – in their own country. The success of this program led to the establishment of the University of The Gambia in 2001. NSGA is best known, however, for a unique Peer Health Education Program which we initiated in 1990-91 in one rural high school, but which over the next dozen years we extended to virtually every secondary school throughout The Gambia and in 2002-06 to 100 schools in post-war Sierra Leone. This is a comprehensive program embracing virtually every health-related issue affecting young people in Africa, but with a special focus on reproductive health, sexually transmitted infections, HIV/AIDS, and malaria, as well as issues relating to self-esteem and bullying – and now cyber-bullying. funding from national and international donor organizations. Over the past few years, with the demise of the Canadian International Development Agency (CIDA) and a general decline in international donor funds, NSGA, like many NGOs across Canada and in other countries, has had to downsize – even to the point of releasing our first Gambian Executive Director, Muhammed Ngallan, an excellent leader who had moved through the ranks from Peer Health Educator to the highest position in our organization. Nevertheless, with ongoing support from the Global Fund for Malaria and HIV/AIDS, we have been able to maintain our PHE Program on a somewhat reduced scale. 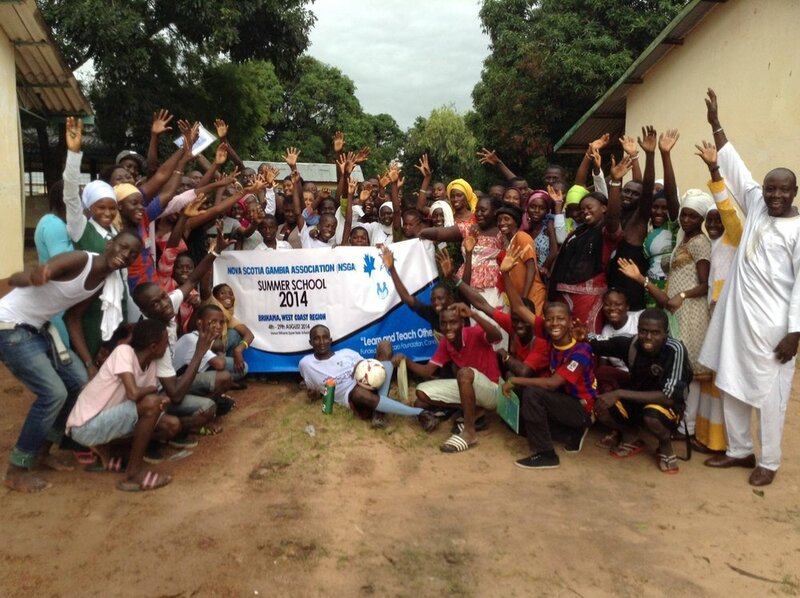 Our staff in Gambia now numbers 36 dedicated individuals, led by National Program Coordinator Abdou Kanteh. And even in difficult times, NSGA continues to be innovative and responsive. Within the past several months, in response to the 2014 Ebola outbreak in West Africa, NSGA has raised funds in Canada to implement a national school and community-based program of “education for the prevention of Ebola” in The Gambia. On June 4, 2015, at the Westin Nova Scotian Hotel in Halifax, NSGA will celebrate our 30th anniversary, with National Program Director Abdou Kanteh as our keynote speaker (thanks in part to ACIC which is bringing Abdou to St. John’s, Newfoundland for its AGM and Symposium, June 11-13). We have indeed come a long way since our humble beginnings as a development education project for high school students. While our Gambian staff are all salaried professionals, our support system in Canada depends entirely on volunteers, some of whom have full time jobs; some of whom are retired. We would be delighted to hear from new volunteers interested in assisting us in any aspect of our work, or qualified resource persons who could provide training and other assistance overseas. If you are interested, please contact NSGA Chair, Kilby Townshend (ktownshend@ns.sympatico.ca) or Board Member Chris Field (chrfield@gmail.com). AidWatch became a member of ACIC a few years ago when its Executive Director, Brian Tomlinson, moved to Nova Scotia. Brian has worked for a variety of NGOs over the year such as Cuso International, Oxfam Canada and before coming to Nova Scotia, the Canadian Council for International Cooperation (CCIC). Brian is also Treasurer on the ACIC Board of Directors. See what AidWatch is up to. What is AidWatch all about? AidWatch is primarily a policy oriented small not-for-profit. Its focus is on Canadian and international aid policies. Specifically in recent years AidWatch Canada has focused on the roles and policies affecting civil society organizations in aid delivery. My work is constantly ongoing. I’m currently working with a global Civil Society Platform for Development Effectiveness that brings more than 1000 CSOs together from around the world to influence current aid practices. On behalf of this coalition, I am a co-chair of multi stakeholder group involving donors, partner country governments, which is working on improving enabling conditions for civil society organizations (CSOs) in different countries. I’m also collaborating with CCIC and ACIC in improving the policy context for CSOs in DFATD’s aid programs. There has been the recent publication of this CSO policy by DFATD. I continue to work with CCIC on policy proposals to make the range of funding options more broad based on this new policy. I’m also work globally with Reality of Aid Network (www.realityofaid.org) following and promoting CSO proposals for financing the Sustainable Development Goals that will be approved in September by the United Nations. I edited the 2014 global Reality of Aid Report and contributed a chapter on global aid trends. Why did you become a member of ACIC? Throughout my personal career in CSOs in Canada I thought that Canadian CSOs can only work to eradicate poverty by working together. CCIC had been a very important part of my work experience over the past 35 years and since moving to Nova Scotia I decided to be a part of the Atlantic Council to help make that happen here in the Atlantic region. How can others get involved with AidWatch? I’m interested in collaborating those who are interested in policy work in terms of aid. It’s a small organization but if someone is undertaking this type of work there’s the possibility that we can work together. AidWatch Canada is a small not-for-profit Canadian organization, established in 2010, which is devoted to the conduct and dissemination of independent research and analysis on Canadian and global trends in aid and development cooperation and their implications for Canadian aid policies and practices. AidWatch Canada works in close collaboration with both Canadian and global civil society organizations and researchers that share interests in reform of the aid system. 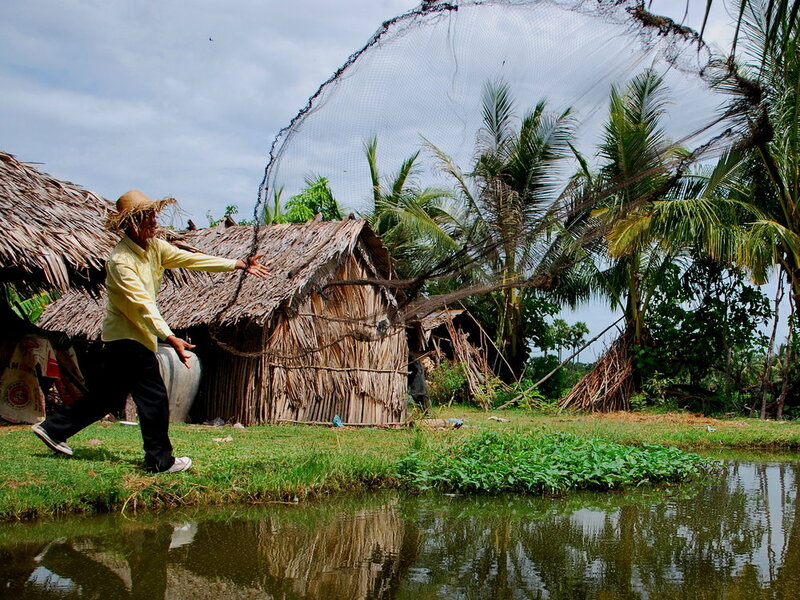 Its focus has been on policies and practices in support of enabling conditions, capacities and initiatives in which poor and vulnerable populations may claim their rights. In particular it focuses on aid trends in Canada and globally (through the Reality of Aid Network) and on enabling conditions for civil society organizations as development actors in all their roles, so that CSOs may effectively contribute to development outcomes. It fulfills its mandate primarily through the research initiatives of its Executive Director, Brian Tomlinson. The Department of International Development Studies (IDS) at Dalhousie University was formally established in 2000 after operating as an interdisciplinary program since the mid-1980s. It manages a BA program with approximately 200 students, and a smaller MA program with 6-10 students per year. The central mission of the IDS Department is to foster greater understanding between the global North and South through teaching, research and cross-cultural learning experiences. Two key features distinguish IDS from many other academic programs: interdisciplinarity and experiential learning. Interdisciplinarity means that students in IDS programs learn about issues of global development and justice from the perspective of many different academic disciplines – including anthropology, economics, environmental science, history, political science and many others. Core IDS classes engage students with key issues from the perspective of many different disciplines while students can also customize their programs through IDS-approved courses in specific disciplines or with a focus on particular regions or issues (such as gender or health). Experiential learning is based on the understanding that students need to learn through hands on experience as well as more formal research, writing and class-room experiences. The focus of experiential learning in IDS is on engaged and active citizenship – at home and overseas. In the first year IDS course “Halifax and the World” (co-delivered with Canadian Studies), students physically explore and map Halifax and make connections to global justice issues in our city – such as Mi’kmaq-Settler relations – and connections between daily life in Halifax with issues of global justice elsewhere through our roles as consumers and citizens (learn more here). Students also create ‘Public Engagement Projects’ designed to engage the general public in thinking more deeply about global justice issues in Halifax (click here to see the 2014 winners of the People’s Choice Award ). In the third year IDS Class “Development Activism,” students learn through hands-on experience the skills associated with effective advocacy and active citizenship – ranging from media relations to influencing politicians to organizing legal protests (click here to see the Globe and Mail’s feature video on the course in its ‘Time to Lead’ series). For the past three years the course has focused on human rights in North Korea – and students in the class successfully nominated human rights activist Shin Dong-Hyuk for a Honorary Doctorate at Dalhousie’s Spring 2014 convocation (click here for story in Dalhousie's Alumni Magazine). Experiential learning also involves also both volunteer internships with development organizations in the Maritimes and the global South, as well as learning about development issues on the ground in the global South. The IDS Department operates two programs in Cuba: a two-week intensive program every spring and a semester-long program every winter. 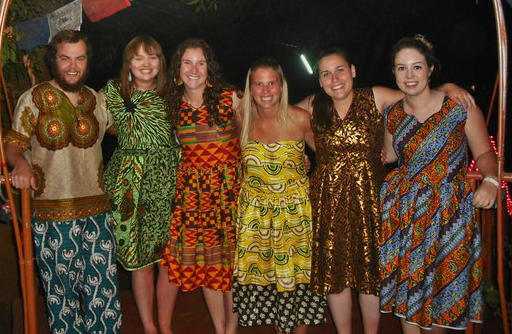 IDS students also take part in study-abroad programs offered through other universities to study and learn in numerous diverse regions of the world (including Ecuador, Ghana, India, South Africa and Uganda) and have held ACIC-hosted internships. One of the big questions that many people ask about IDS is: what kind of jobs will students find after they graduate? In the current context of the development sector in Canada, this is a serious question. Some IDS students do go on to work in the development industry, but most pursue careers in broad-ranging fields from community services, education, health, journalism, law, and media to self-employment in fields from conflict management to video production. The background of an IDS degree, with its inter-disciplinary focus on understanding global issues and cultures from a critical, justice-oriented and experiential perspective is in many ways the ideal starting point for 21st century careers. IDS students themselves are highly engaged as active citizens on and off campus (click here to learn more about the IDS student society) – and eager potential volunteers for the ACIC and its other member organizations.